This is the makeshift weapon that is terrifying people across the capital – a Lucozade bottle filled with ACID. Cops swooped after a man was seen carrying the bottle near Bow Road station, east London on Tuesday. A group of men were searched nearby and one of them was found to be carrying a squeezy plastic bottle filled with the suspect substance. 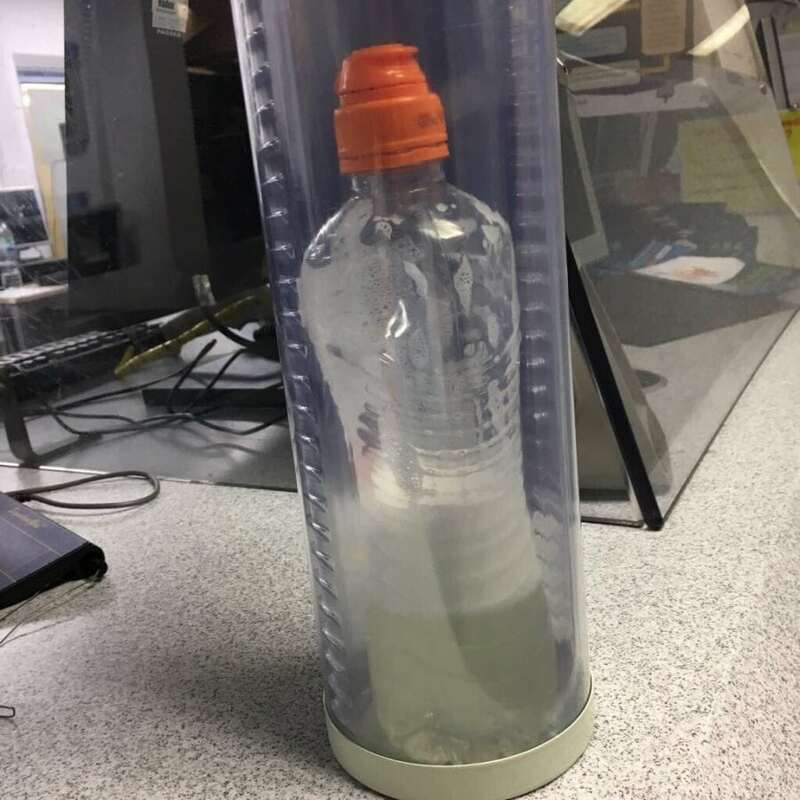 Tower Hamlets Police tweeted out a picture of the bottle inside what appears to be a protective casing. The tweet describes it as a suspected bottle of acid, and a frothy, pale, yellowish liquid can be seen inside the bottle. Bradley Kerr, 21, of no fixed abode, has been charged with one count of possession of a noxious substance. He was due to appear at Thames Magistrates’ Court on Wednesday, July 19.